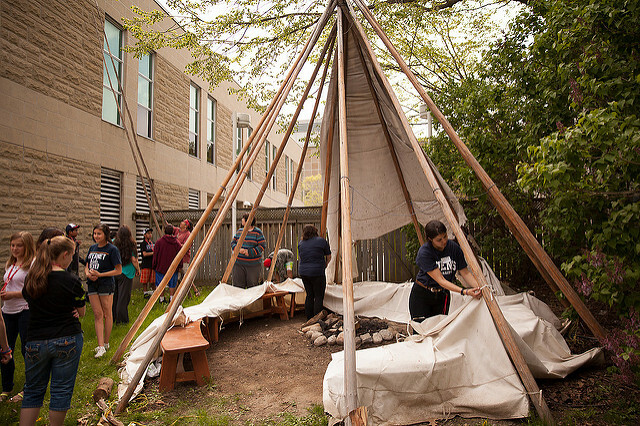 Four Directions Indigenous Student Centre is a home away from home for the more then 450 Indigenous students studying at Queen's. We aim to provide holistic support services for Indigenous students that includes academic assistance, financial aid, and cultural programming. Convocation is a special time for all students, especially Indigenous students at Queen's. At Four Directions we honour this accomplishment by presenting each student with a Pendleton blanket as they cross the stage. When students are struggling through final exams we often hear them say that they can't wait to finish to be gifted on stage. Your support will ensure that this unique Queen's tradition continues for many more students and their families.